The LGBT+ community certainly has made a lot of progress over the last decade toward full acceptance and equality, but the community and especially transgender people still are at an increased risk of anti-gay violence occurring. From larger incidents such as the June 2016 shootings at Pulse nightclub, 2017 Charlottesville riots, to smaller incidents involving individuals. It happens all over the world, and even in places that are seen as more accepting of LGBT+ culture. The Pulse Nightclub shootings certainly rattled many people including myself, the recent events in Charlottesville have shown us that we are indeed far off from a truly inclusive culture without risk to personal safety. Now, more than ever many of us are scared of the potential for violence over something as simple as the color of our skin, the gender in which we identify or the people we love. It is truly an uncertain time we live in, to say the least. Given the current political climate, particularly in the United States there is much xenophobia and hateful rhetoric being thrown around by individuals and collective groups. It is important to realize that while in many parts of the world where LGBT+ culture is more accepted, we still aren’t completely safe from racial and anti-LGBT violence. So what can you do to protect yourself? The most important thing you can do, well before you might find yourself in a bad situation is to prepare. Take self defense classes, learn how to fight in hand to hand combat. Spend some quality time at the gym (working out) as improving your fitness will also improve your confidence and confidence will go a long way toward helping you survive. -The best thing you can do is to try and avoid the situation altogether. Removing yourself from the equation no doubt is the safest option; you avoid any confrontation and reduce your risk of violence. -Wherever you go, be it a nightclub, restaurant, movie theatre or even a walk around the neighborhood take a mental note of escape routes. Where can you go? Where does it lead? What are the potential obstacles that you need to overcome? -Once you get a safe distance away, call 911. -Sometimes fleeing isn’t necessarily the safest option, thus if you can disappear until it is safe to flee you can avoid a confrontation. -Where can you hide? Is an escape route accessible from the place? What potential weapons are within reach? What kind of obstacles do you need to overcome? –Is it safe to call or text 911? If so then do it, however if your phone has the potential to alert the attacker to your hiding place, don’t risk it. -A last resort if you are forced into a confrontation is to disable your attacker so you can escape. –Make a lot of noise so you can draw attention and be seen by others. Many every day objects can be used as a potential weapon. If you are forced to defend yourself, do not hesitate to do what is necessary. If you are forced to defend yourself, you have to be willing to do what is necessary to stay alive. No doubt it is a scary situation and you will likely be driven on pure adrenaline. The important thing is to stay calm and keep a cool head. Be confident in yourself and don’t hesitate on your next move. Even a split second could be life and death. Relax and conserve energy, after all panicking isn’t going to save your life. Find a weapon if possible. –Many every day objects can be used as a weapon. Keys, glass bottle, a stick, a brick, a pen. If nothing is within reach then you have yourself, which is the most important weapon of all. –Head, elbows, knees are the parts of the body most effective as a weapon, when used correctly they can inflict a lot of damage on an assailant. Your body weight, with the proper training can be a very effective tool to disable your opponent, regardless of size. –Attack your assailant’s weakest areas. Primarily the face, nose, eyes, neck, groin or the knees. Your goal is to disable your opponent enough for you to escape. Don’t hold back, attack full force, otherwise your assailant will overcome which would end the fight immediately. –Escape. Once your opponent is disabled, you may only have a few seconds before they are able recollect themselves and attack again. That is your opportunity to get away so don’t miss it. Visualization is one of the best ways to prepare. Sure we’ve all thought about how we would save our classroom and be the big hero should someone attack. However your not trying to save everybody so much as you are trying to save yourself. With xenophobic and anti-racial violence on the rise we can no longer trust any place is completely safe. Put yourself in any scenario and think about what you would do, how you will respond and what will you need to do in order to escape. Mental preparation is key to helping you stay cool and calm in such a circumstance. 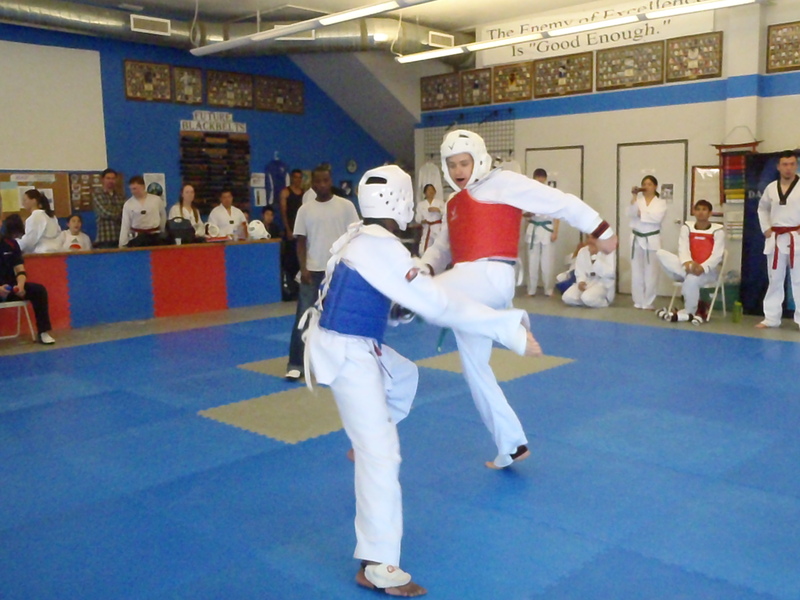 There are many self-defense classes available in every community. More than a few are even available specifically for the LGBT+ community. Take the time to research in your area and attend a class, you will learn basic moves, practice a variety of scenarios and how to keep your cool in even the most scary situations. Don’t become a victim, stand up and fight back.